Obviously, the advertising model works famously for some kinds of content. But publishers are kidding themselves if they think that advertising will replace the revenue generated by current book sales. Current CPM (cost per thousand) rates for advertising range from $1 (the vast majority) to $20 at the high end, very targeted, high-value audiences. So if you have a 200 page book that sells 20,000 copies, generating 400,000 page views (assuming all 20,000 people read the entire book), you might generate a few hundred dollars from advertising even with an ad on every page. [Update: a number of people have pointed out my own bad math: that's 4 million page views, resulting in a few thousand dollars of ad revenue. But that doesn't change the fundamental point.] And that’s before you develop your ad-serving technology or pay someone else a slice for handling the problem. Publishers and authors have to get a LOT more readers to bring you up to the level of revenue you get today from a printed book. Here’s the problem with this perspective — and why digital publishers have so much trouble monetizing their content through advertising — it assumes that all content monetization is a volume game. 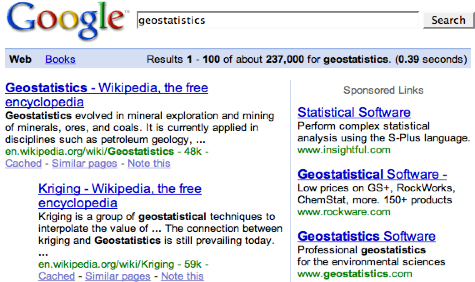 For all the targetability of online advertising, so much of it is still bought and sold like old-fashioned mass media. Think about it — $1 for 1,000 ad impressions, which could mean reaching hundreds of people. How many things can you buy for a $1 anymore? Let me put it this way — estimating the advertising value of books in terms of cost per thousand ad impressions is sheer lunacy — and it’s not Tim’s fault, this is the industry standard. But it makes no sense! Every page of a book is a page view worth between $0.001 and $0.02? Really? Think about why Google is so successful. Does anybody know how many page views Google has? Does anybody care? No, because Google doesn’t sell page views. It sells the ability to know what’s on people’s mind. Tim talks about his experience with offering Safari subscriptions to the complete O’Reilly digital library. Let’s talk a look at the top titles on Safari. How much do you think IBM would pay to be in front of a Java programmer with this ad at the moment they are looking up how to solve a coding problem? More than $0.001? You think? I think what’s really holding the book publishing industry back from joining the digital revolution and putting ads on everything is the fear of shooting the sacred cow — the one that no other print publishing industry besides the book industry has ever held holy. Regardless of whether there was any sense to this prohibition against ads in books in print, in digital all bets are off. The way content is consumed digitally is fundamentally different. The experience is different, and the expectations are derived largely from the core experience that defines digital media — surfing the web. You think anyone has every seen ads on the web? And speaking of sacred cows, how about ads in software. Try telling Microsoft five years ago that they should put ads in their software — they would have laughed you all the way down the West Coast. Then, well…Google. Now Microsoft wants to be a media company. Go figure. So how much would IBM pay for reaching a Java developer deep into coding, who might actually at that moment have use for one of IBM’s Java resources? $1? $10? How about $100? You can bet it’s worth a more than a click on one of the ads on the Google search result for Java — how many Java programmers do you think are going to search just for the word “Java”? 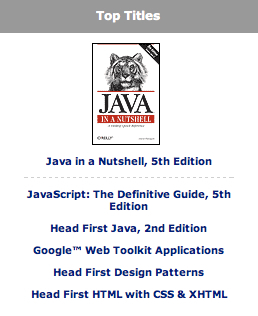 But when they are searching through the digital edition of O’Reilly’s Java in a Nutshell, you can be sure you’ll know exactly what’s on their minds. 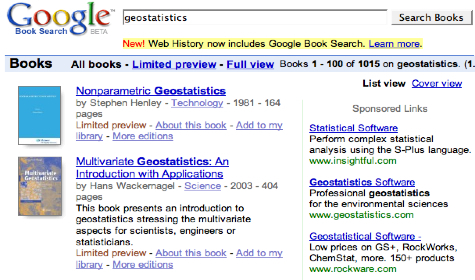 How much do you think a company that sells geostatistical software would pay to reach someone reading a book about geostatistics? Do you think there might be a match there? You’re probably expecting me to declare now that books should be free and subsidized with ads. But what if you can still sell the content AND sell ads? Ask newspapers if that was ever a good business. Here’s my advice to book publishers. Take the cow outside and shoot it. Toss some books in the barbecue pit. Grill some stakes. Then sip some wine and think about books and ads.